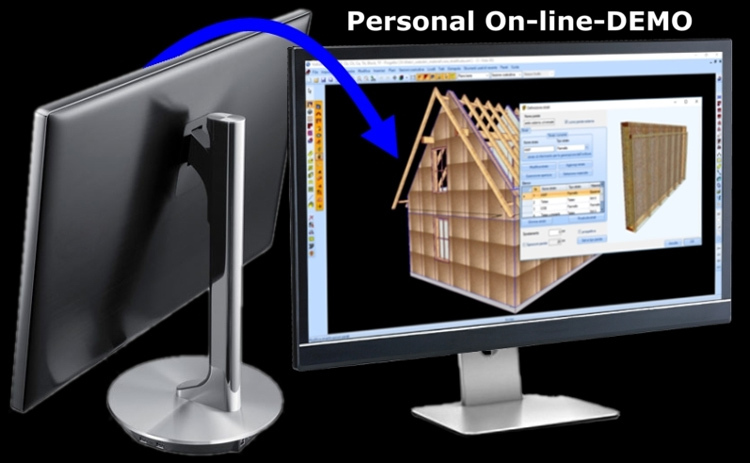 Your full 3D CAD/CAM solution for Construction Industry. From the idea (Planning) to the realisation (Finished Project)! 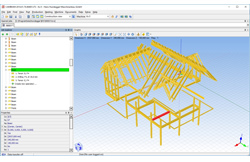 VisKon® by WETO is a BIM/CAD/CAM Software for Timber Construction, that allows to create simple or complex timber Roofs (with dormers, sky windows, chimneys), and porches, pergolas, carports, stables, etc. with framing, so Timber Framing Buildings (with Studs, Plates, Noggins), Block Houses and Massive (as XLAM). VisKon automatically creates Technical Drawings and CNC that you expect for production. “Nomen (est) Omen”, that means “Name is Omen”. As Latin said, people name is an Omen that explains what is it and what it does and we can apply this mindset about VisKon name that means Visual Construction (Konstruktion). 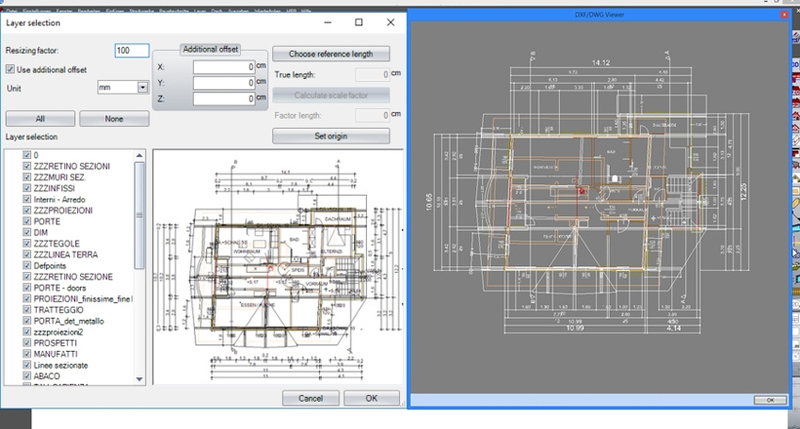 Since first version, the software target is to create the Easier Software Solution as possible that avoids typical problems of 2D planning (as the mistakes, lacking…) and difficulties of the others 3D software. 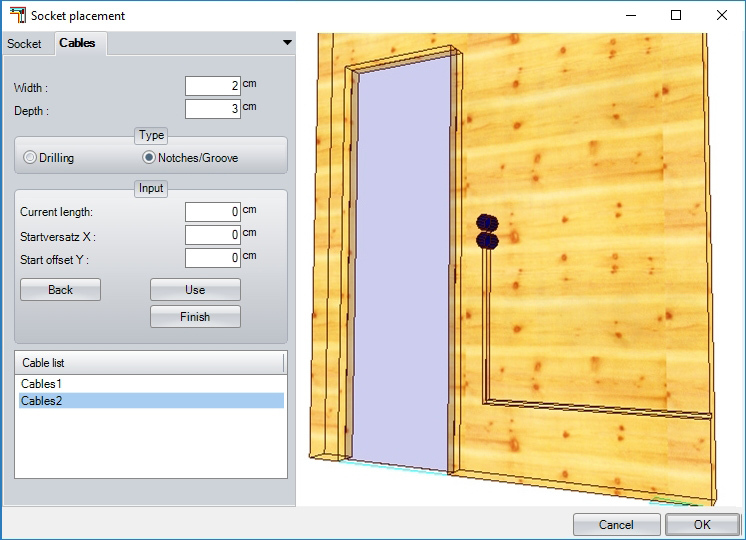 The result is a 3D visual builder composed by several and specific 3D tools that are designed to be easy and fast for any kind Timber Construction that you want to plan and to build. 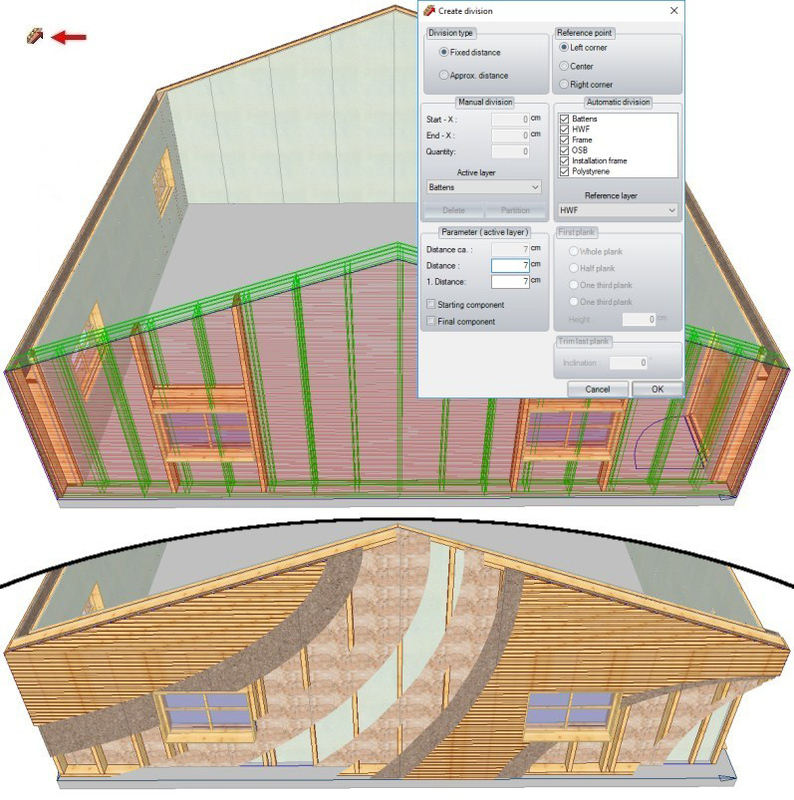 This module allows to plan any Timber Covering type and to create free constructions without struggling. Roof and Dormer Wizards offer a large option choice of wooden items letting to increase design time and quality. You can also decide to change or to add manually details without time losing. Each tool is well conceived to be complex and easy at the same time. 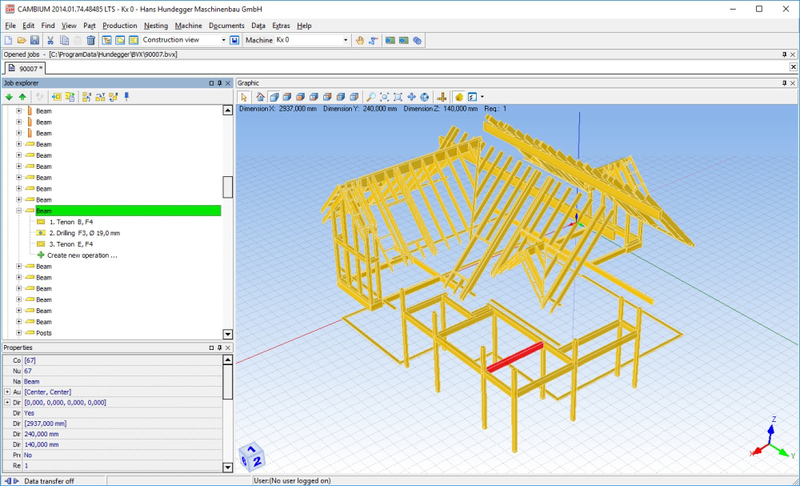 Roof Editor manages whether main wooden structure as rafters (hip/valley), purlins (inferior/middle/ridge), collar ties/beams and the light one (battens and boards). 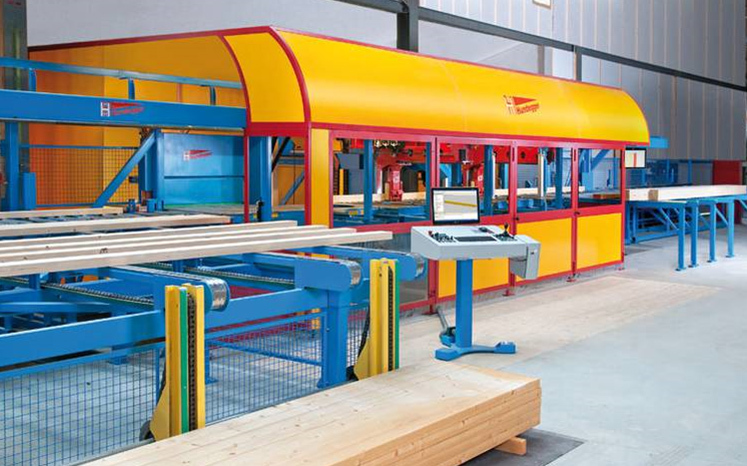 Each timber piece can be exploded as Technical Drawings Automatically Dimensioned for production. Timber lists, as well are computed by a simple click. 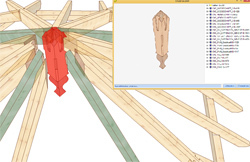 Simple and intuitive construction of components such as "inclined flight rafters"
Exact pre-planning for production of practical timber joints such as drilling, birdsmouths, lap-joints, tenons/mortises, dovetails, controlled cuts (cling/recess), chamfers, scarfs, heel joints, profiling (molding), slots, notches/grooves, rabbets, smooths, offsets and much more. In VisKon®, timbers can be designed on levels and freely in the building. This means that is possible to freely design constructions in which all the woods overlap. 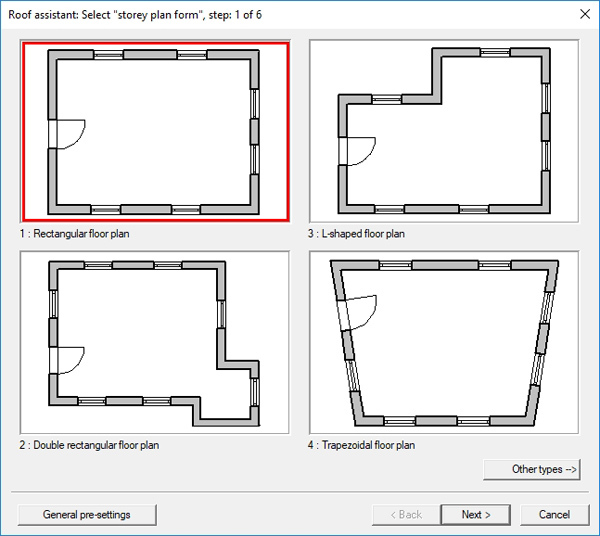 A floorplan designed in VisKon (by walls, slabs, or simply by 2D lines) or a plan imported as DXF/DWG, can be used to define roof perimeter for Roof Editor. 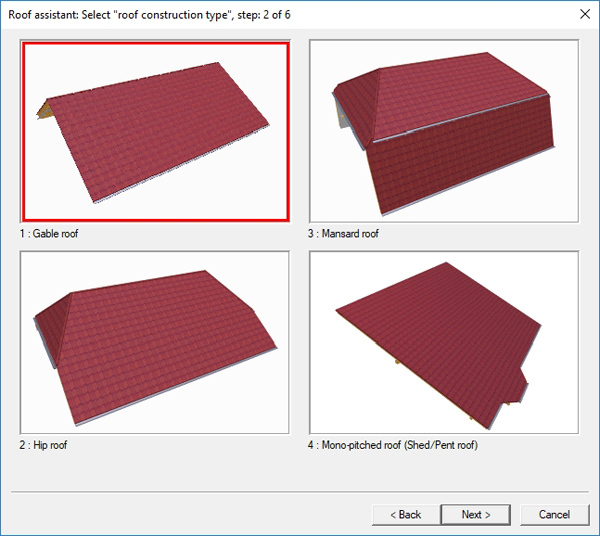 That outline can be also automatically get it directly by a click on the 3D scene (from a 2D or 3D shape) in just a few second allowing to choose how to compose the roof. 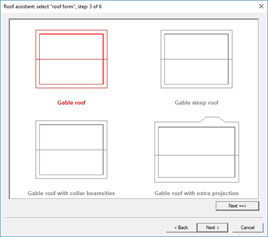 Obviously, roof tools allow to define how to compose the roof. For example, a simple rectangular roof can be done with 4 roof surfaces (a Hip Roof), with 3 (one Gabled Roof + 1 Slope) with 2 (a Gabled Roof or a L roof) or with one only. 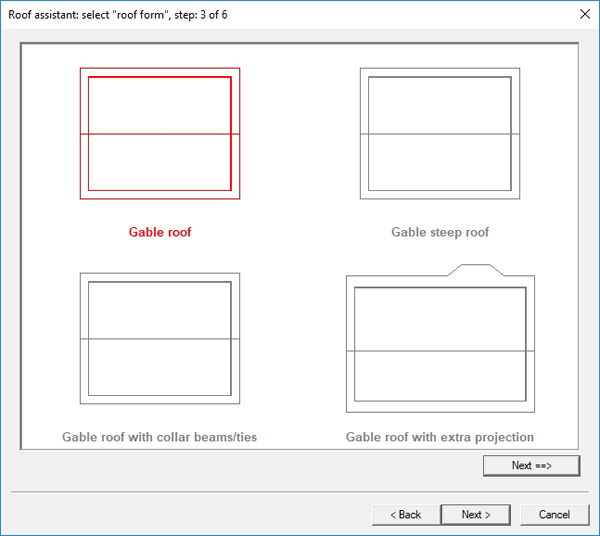 In a simple way, is possible to define where to define Roof surface where to remove it and get the expected result. So if your roof has 2, 7, 13 or what else roof surfaces, you have simply define a perimeter and own side properties. 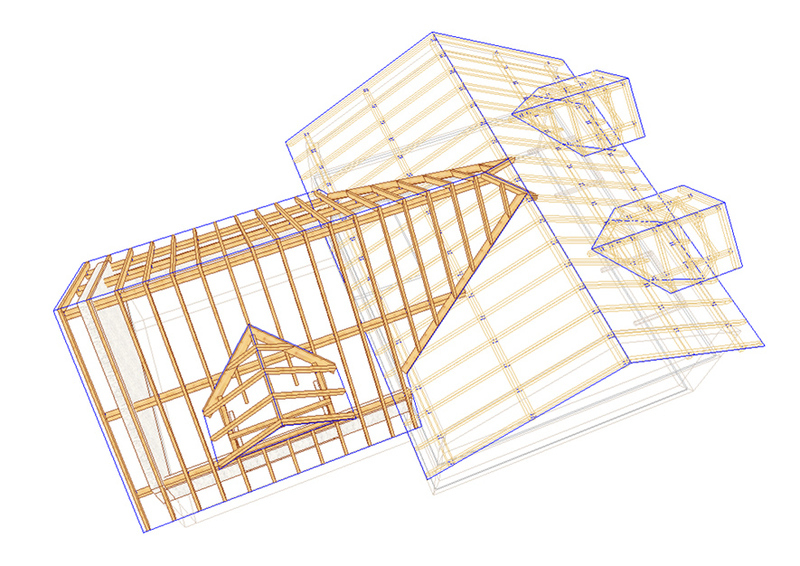 Roof windows and Chimneys tools automatically adapt Timber Construction creating eventually beams joints selected. Projects created in VisKon can be published as 3D models on Sketchfab* and viewed in the internet browser (without plugins), on tablets and smartphones. Ideal for presentation to customers. * A free Sketchfab account is required. VisKon enables you to create complete Timber Framing projects with customized walls, exposed roofs with a double timber structure and multi-beams positioning in one program. VisKon offer specific tools that allow to design and to produce Timber Framing buildings, Half-timbering buildings or Block (Log) Houses. 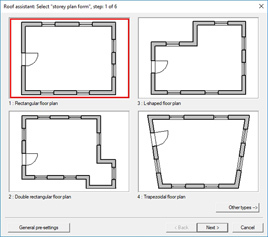 A parametric tool, allows to define and save corner rules to use according with the corner type and the specific wall models to merge. 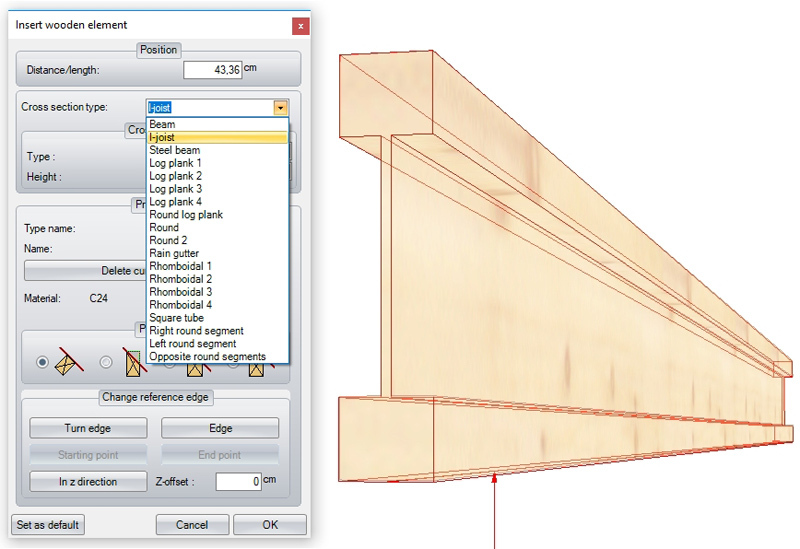 Resuming, this tool allows to specify that Layer n° X of one wall should reach Layer n° Y of the other wall to joint. 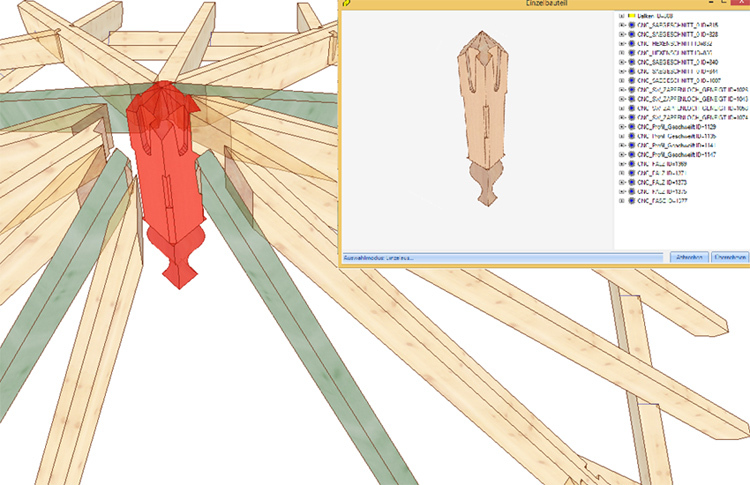 Another useful feature is that you can turn on additional Studs to support the corner. In VisKon is possible to define each kind of connection you like. It’s also allowed to mix structures: for e.g. Ground floor as Block Houses and the Upper storey with Timber Framing Walls with different thickness and without getting problems. It’s also possible to use sliding rails within connections customizing depth joint. VisKon can also display round and profiled logs instead to manage the traditional squared beams. 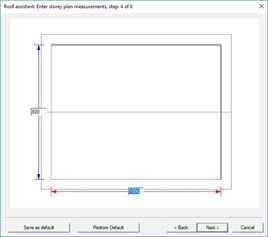 Just a mouse click on a wall and special VisKon button will produce the Technical Drawing of the Wall provided with Automatic Dimensions. 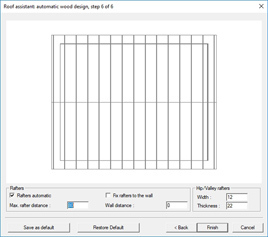 It’s allowed to change colours of dimensions and components for frames, log planks and panels. Input of various wall definitions with real-time 3D preview. Creation of up to 10 wall layers as frames, panels, battens, canopy boardings or log (block) planks, universal and massive. Standard dovetails apart, VisKon for Block House (Log House) project supports special dovetail joints (and other typical logs joint) for this building type. It’s also possible to use dovetail joint even for inner walls. 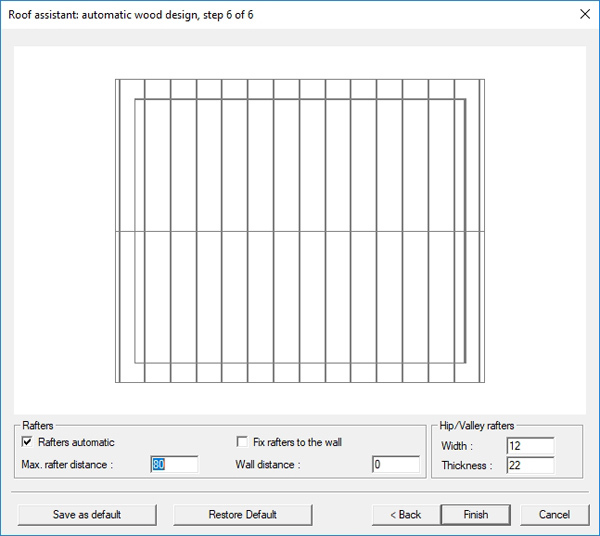 In VisKon B (wall module), an useful real-time preview helps to freely enter windows and doors in 2D or 3D. 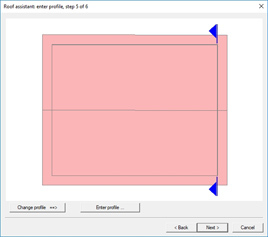 Window/Door Editor adjusts in real time any new or existing opening placed in according of new geometry. 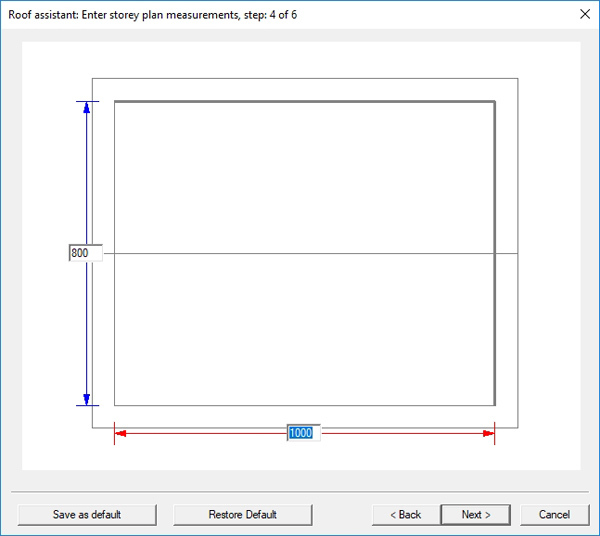 Additional parameter are available for log (block) planks. To increase production, the wall output process will package single wall layers together. This is done to generate univocal ID numbers for each Timber piece letting carpenter to easily assembly (Abbund) the wall. Solid wall layers (e. g. Cross Laminated Timber as XLAM), CNC machine units and nesting as well are supported. 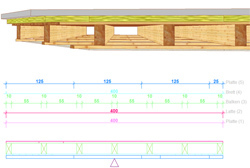 Roof constructions, log planks, stud frame constructions can be combined in VisKon® as desired. 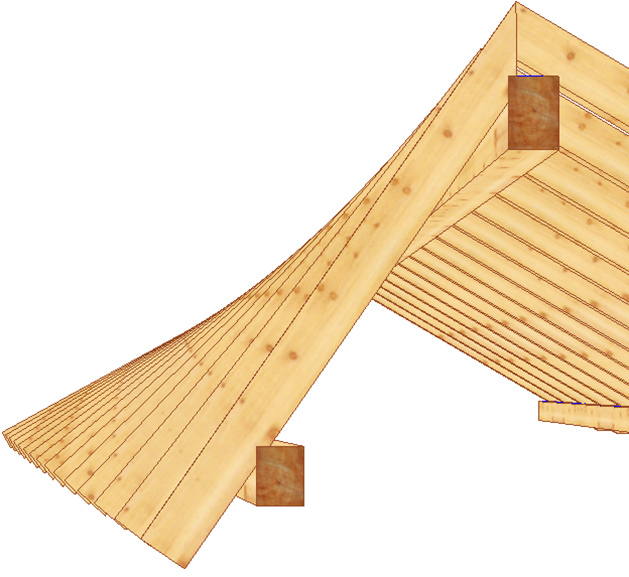 About Block House, log planks joints are supported and it’s possible to add connections as hooked scarf joint, tenons, drills, slope trims, etc. can be created on all wooden components and transferred to the CNC machine. The CNC joints are automatically well converted into the desired machine format (e. g. BVN, BVX, BTL etc.). Transformation from drawing to joinery file is accurate according with standardized CNC component processing types (machine units). Perspective (3D) View can be created by a click. Views are totally free, you can choose any point of view that you like, simply typing the desired View and Inclination angles. 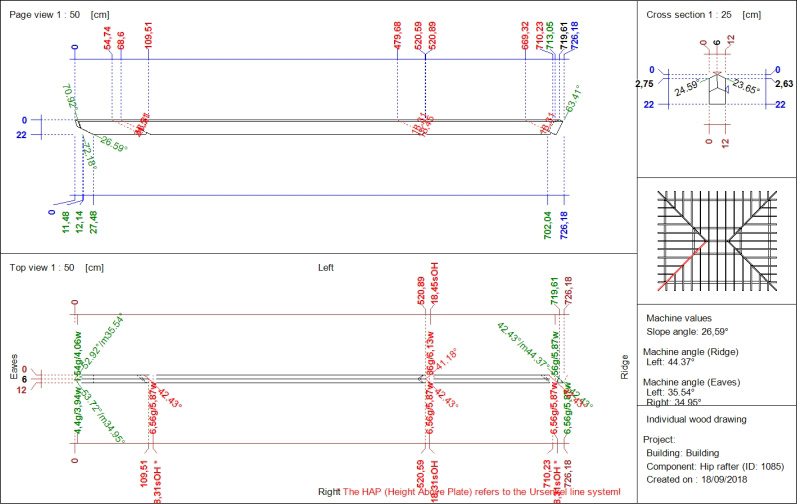 On perspectives, you can simply ‘light on’ CNC Component Numbers, Lengths, Area, etc... and individual processing steps. For quick item recognition on the drawing, each component type (rafters, purlins, studs, etc..) is represented by a different colour. Weto-Converter is a Windows program specially developed to convert K1/K2 file (*. bvn) generated by our software into a specific-machine file (*. btl) or Hundegger-P10/P8 file (*. bv). 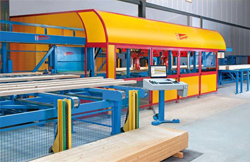 Based on our machine control system, it can easily control the joinery machine with Weto program. Main focus of our software is to offer easy and user-friendly programs. Hundegger, Schmidler, Hüllinghorst, Burmek und Maffel all machines using machine control software done by Sema, Hundegger or Integra3000). A large of pre-settings and optimization for own machine, can be applied. Do you need further information or would like to have a personal demonstration?